I was born on a February afternoon 2 minutes before my twin sister. Angels wept or something, I suppose. After a happy childhood filled with fun and family, I obtained a BA in English with an emphasis in fiction writing from the University of Minnesota, during which I was a bookseller. I also spent a semester as the fiction editor of The Wayfarer, the literary magazine for the U of MN. I live in a suburb of St Paul, MN in a house I own with my twin sister. We share the house with our brother, 3 dogs, 4 guinea pigs, 2 cockatiels, fish and occasional foster animals from the shelter. Besides writing and reading, I enjoy dogs, animals, my family, board games, yard games, video games, cooking, gardening and dressing up for the MN Renaissance Festival. 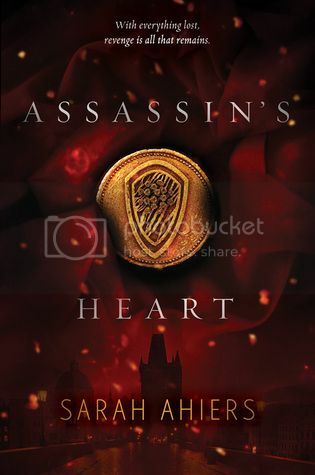 Hmm, I just started this one (7% in) and I am already seeing that the romance is going to play a huge role in the story, which is a shame because assassin's have such huge potential. Right now I'm not too frustrated with it so I plan on continuing, but with different expectations. Thanks for the review! The romance does and doesn't play a huge role. You shall see. Good luck!